One of us trekked through the Continent meeting European students during college while the other roamed around Japan, courtesy of the U.S. Navy, half a globe apart yet beginning our shared yen for travel. 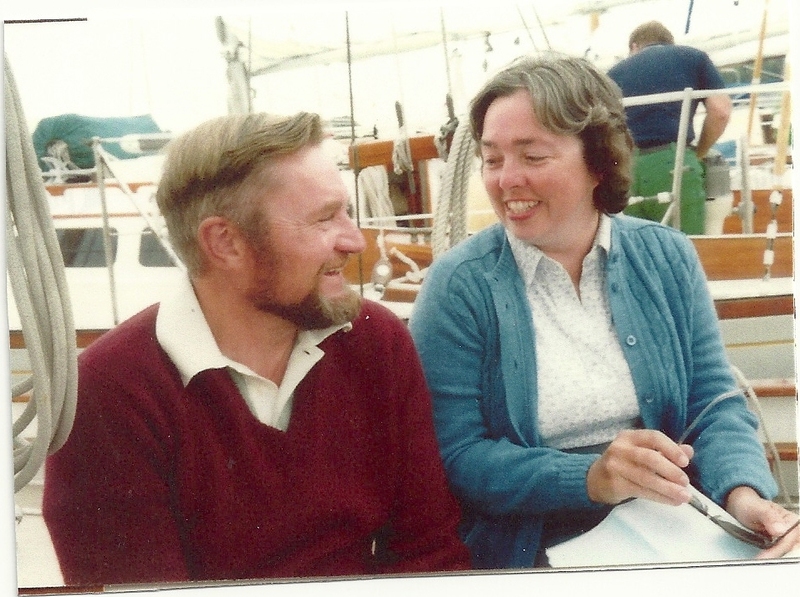 After marriage 56 years ago, tracing ancestors who left Wales in 1698 for America and visiting Swedish relatives became part of our travel and our writing. A Fulbright Fellowship at the University of London allowed us to travel during holiday times in our little Simca, camping to squeeze by on 56 pounds a month. Later, with a Ph.D. in English and an M.A. in History, we spent all sabbatical leaves and research grants during college teaching years in Europe with our children. Living on half salary kept us camping, but carefully planned itineraries expanded our range throughout most of the Continent and Britain and led to our first guidebook, Europe under Canvas, published by Prentice-Hall in 1980. It was followed by 15 guidebooks on Europe and the eastern U.S. published by Morrow, Fielding, Globe Pequot, Hunter and Countryman, several of them with revised editions in print for 20 years. At the same time we also wrote more than 950 travel articles in magazines and newspapers, with an emphasis on history, culture and outdoor activities, especially sailing and skiing. For 16 years we wrote the Sunday travel page for the Glens Falls Post-Star as well as articles for the San Francisco Examiner, the Boston Globe, The Rotarian, Oceans, Detroit Free Press, International Living, Hawaii Magazine, AAA Going Places, Sail, The Clipper (Star Clipper Magazine), Christian Science Monitor, Hartford Courant, St. Petersburg Times, Providence Sunday Journal, Denver Post, Bergen Record, and the Lake George Mirror. While in the academic world we learned that scholarly and travel writing projects could overlap and even merge. For example, we spent 77 days in the Mediterranean tracing ancient maritime routes used by legendary Odysseus and other ancient Greek mariners. This exhilarating voyage resulted in many articles, nine videos and a slide presentation, all related to travel. And scholarship on Joseph Conrad led us to Poland to explore his footprints and the chance to travel with his grandson, Philip Conrad. Recently we have explored the Mayan culture in the Yucatan jungle near Cancun, with visits to Coba, Chichen Itza, Tulum and El Rey. Another trip brought us to Egypt, where we met with Dr. Zahi Hawass, the secretary general of Egypt's Supreme Council of Antiquities. He has been featured on CBS recently as he entered a burial chamber in the Step Pyramid and also gazed on the face of King Tut as the mummy was uncovered. We have given visual tour programs at local libraries and a senior center on the Mayans and Egypt in 2010. Our largest recent publication project was a series of three historical guidebooks on early colonies and their gradual evolution into a unified nation. The first was A Visitors Guide to Colonial and Revolutionary New England, followed by the same title on Colonial and Revolutionary Mid-Atlantic America and the final volume on the Colonial and Revolutionary South to complete the series, all published by Countryman Press, a division of Norton. This trilogy was chosen by the Book-of-the-Month Club, the History Book Club and the Military Book Club to be the alternate selection in February 2010. This puts the books in good company with the work of contemporary historians. They have a lot of background history to intrigue armchair travelers as well as information for those who are actually traveling to historic sites. Our latest project was editing the Lake George Club Centennial Year Book. This 340 page book took eight years of preparation work with members who contributed old photos, memories and expertise. In compiling it all as well as writing many of the sections we created the first full history of a venerable and focal institution in the Adirondacks. These books will appeal to history buffs, armchair travelers and those planning heritage travel.